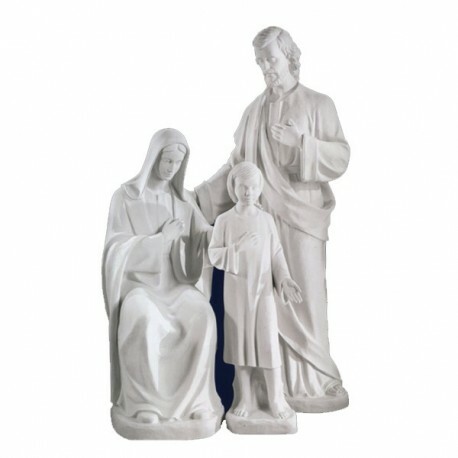 Statue of the Holy Family, 185 cm. 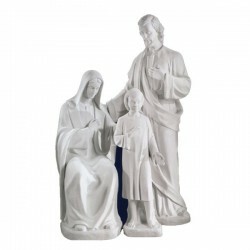 Statue of the Holy Family, 185 cm, of white marble dust, handmade in Italy. Statue of white marble dust from Carrara, it is mixed with a special binder that gives a great resistance against the atmospheric decay. Dimensions: h185x115x75. With a higher price there is also of shiny white or bronzed. 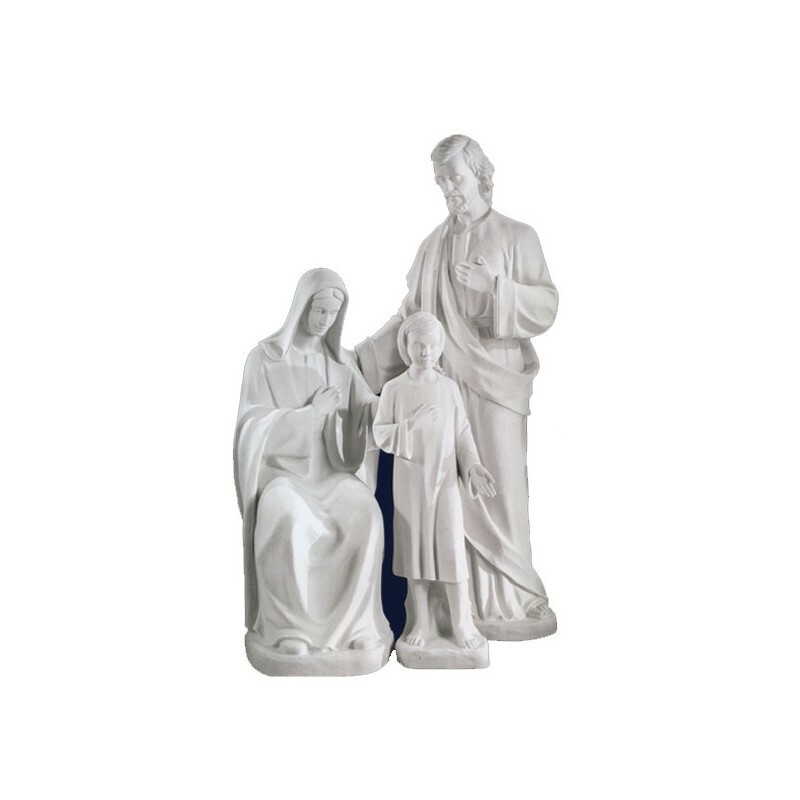 In Christianity the Holy Family is the family with Jesus, Joseph and Mary. The Holy Family is considered the base of the human family, with love, affection and under standing feelings. Traditionally the celebration of the Holy Family is on the Sunday after Christmas. In art the Holy Family has been the inspiration of many artists who have created a lot of works of art. There are numerous religious congregation in Italy, France and Spain which dedicate to the care of the ills and of the children. Virgin's clothing, handmade in Italy.